At Bayside Kids Dental, your little ones’ toothy smiles are our greatest reward. We love smiles of all shapes and sizes and we truly believe every child’s smile is unique and beautiful in its own way. That’s why we don’t put too much emphasis on aesthetics for kids, because they should be enjoying this sweet time of life rather than worrying about how their teeth look. However, there are some cases when teeth are chipped or gapped or stained from medication when a cosmetic solution could make all the difference for their self-esteem, so they can pose for every picture with a big, confident grin! 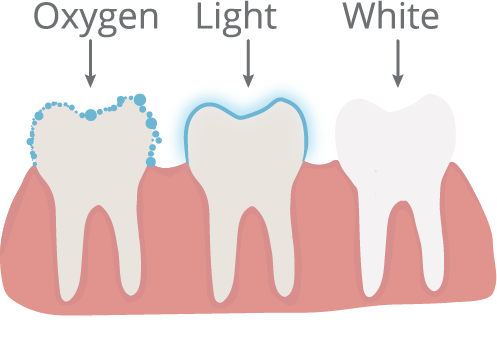 With kids, we never recommend teeth whitening unless the staining is moderate to severe, and there are many reasons they may develop stains of this nature—some of which may surprise you! Maybe you had an infection when you were pregnant that caused teeth staining. Maybe staining is a result of medications like tetracycline or doxycycline. Maybe they suffer from fluorosis caused by excessive fluoride exposure. Whatever the reason, we would love to help remove stains and let their confidence shine! Maybe your little one is not so little anymore, and they’ve blossomed into a teenager before your eyes. These years can be equally exciting and awkward, as teens become hyper-aware of their appearance and catching the eyes of their classmates. Whether they’re getting ready for prom or could just use a smile pick-me-up, we are happy to provide in-office teeth whitening treatments for teens! At Bayside Kids Dental, we use the Philips Zoom!® Whitening system—one of the most recommended and requested whitening brands on the market. Zoom! Whitening is clinically proven to whiten up to eight shades in just 45 minutes, offering professional results with little to no sensitivity. The specialized whitening gel is applied to teeth and we use an LED whitening lamp to accelerate results, so they can leave with a dazzling smile after a single visit! At Bayside Kids Dental, we’re all about bonding! Yes, we love doing trust falls and team-building activities that bring us closer together and allow us to provide even better care for our patients, but we also love bonding teeth! 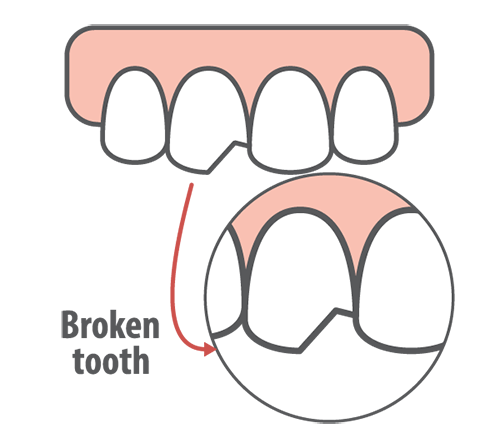 Bonding is a wonderfully simple solution that can both restore and beautify teeth for a more seamless smile. We use a durable and natural-looking tooth-colored resin to build out chips, fill gaps, cover stains, and correct any minor structural or aesthetic concerns without having to do anything drastic. Bonding is a cost-effective and convenient solution that can bring back your child’s confident, happy smile—correcting many your little one’s smile woes in a single treatment! If you have any questions about our smile solutions for kids or you’re ready to schedule a visit with your Odenton pediatric dentists, Drs. Kenny and Sarrah Zamora at Bayside Kids Dental, give us a call today or request an appointment easily online!